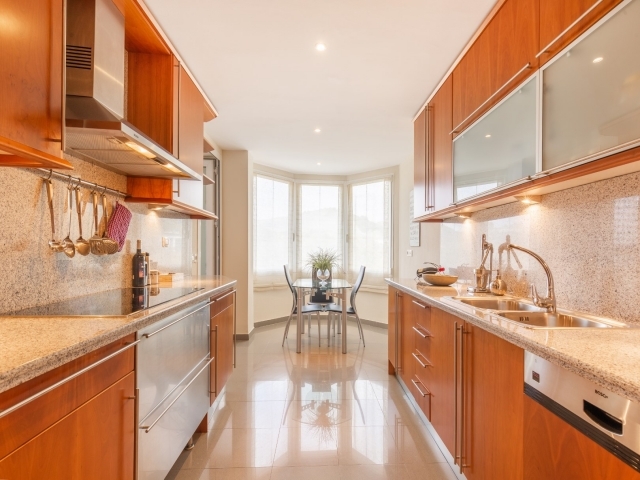 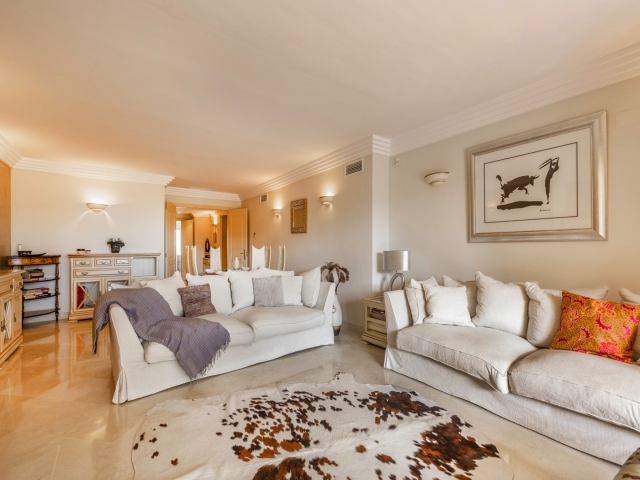 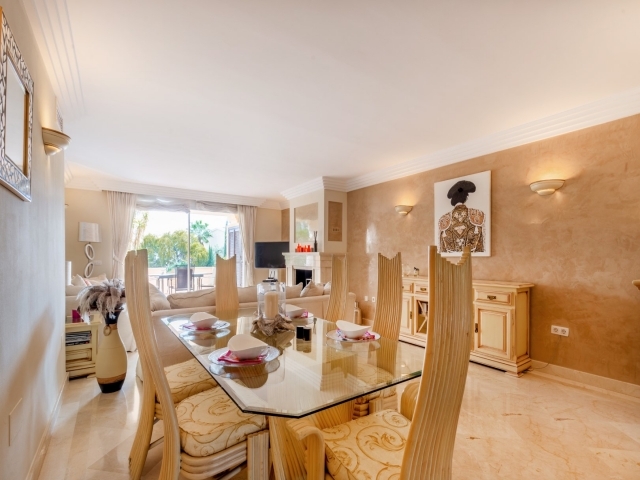 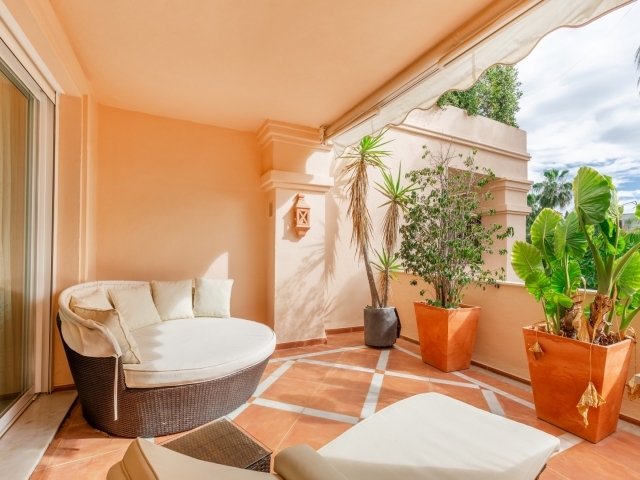 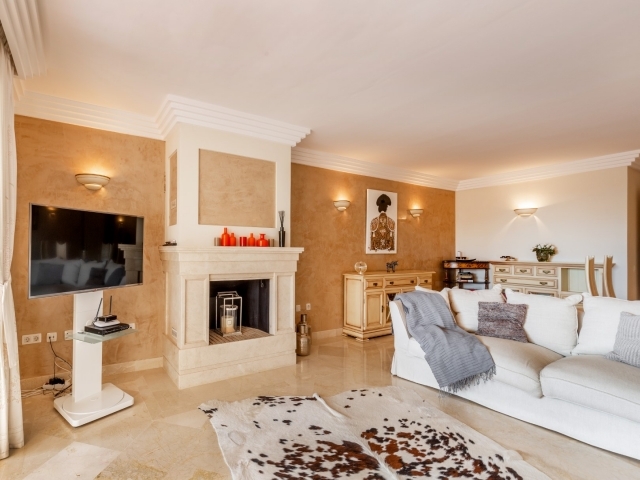 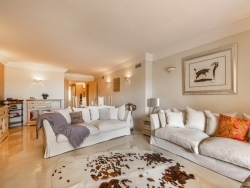 Exquisite two bedroom apartment for sale in Albatross Hill, a luxury development set in the hills of the Nueva Andalucía Golf Valley. 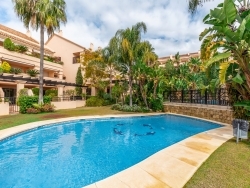 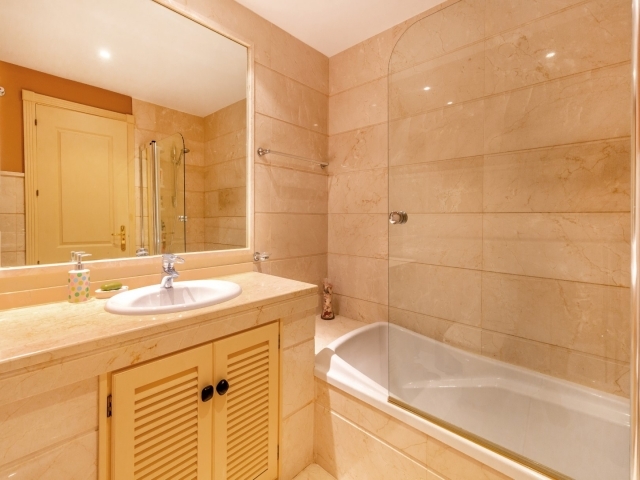 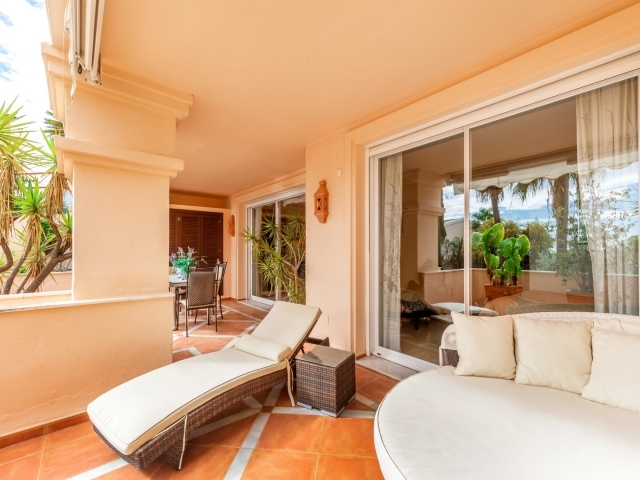 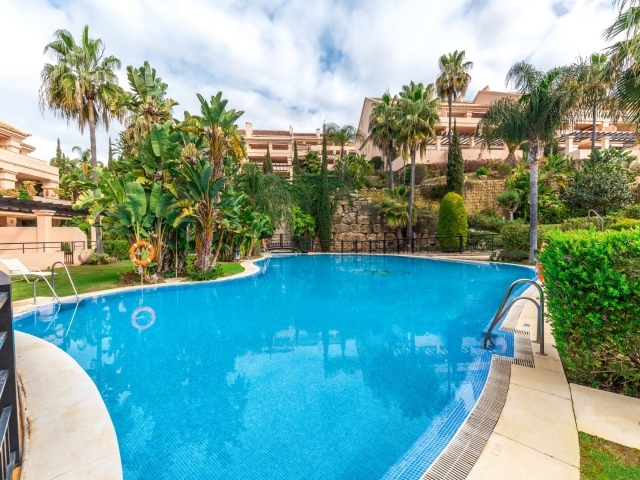 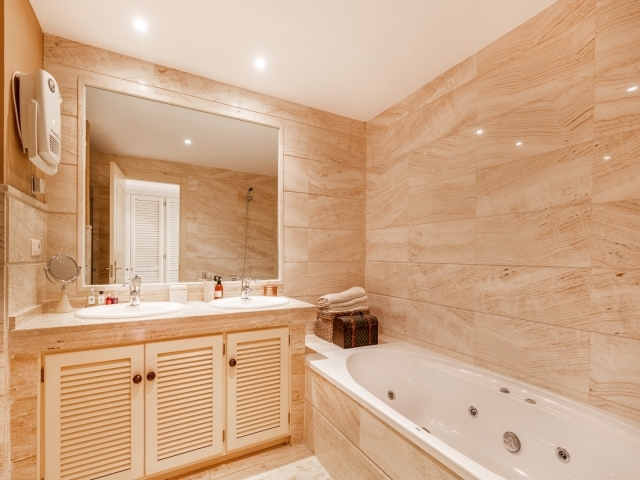 The gated complex offers stunning golf and sea views due to its elevated position and also provides residents with access to communal swimming pools, beautiful gardens, a gym, sauna and tennis & squash courts. 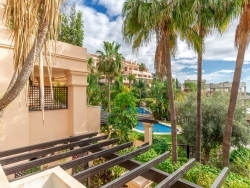 This unit is situated on the 1st floor overlooking the large community pool, mountain and the valley. 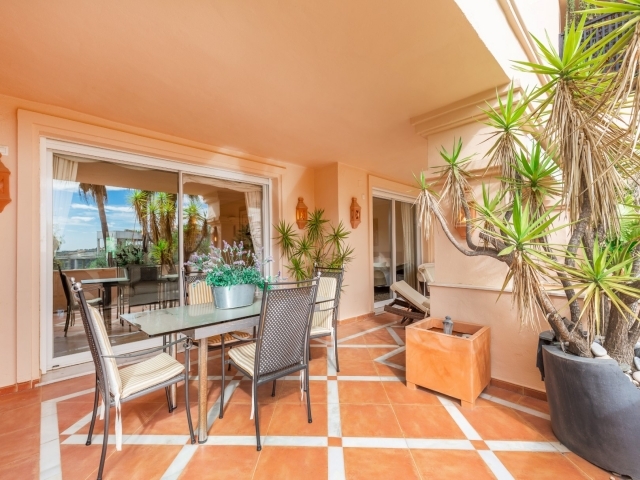 The apartment in Albatross Hill are all very spacious both interior and exterior.